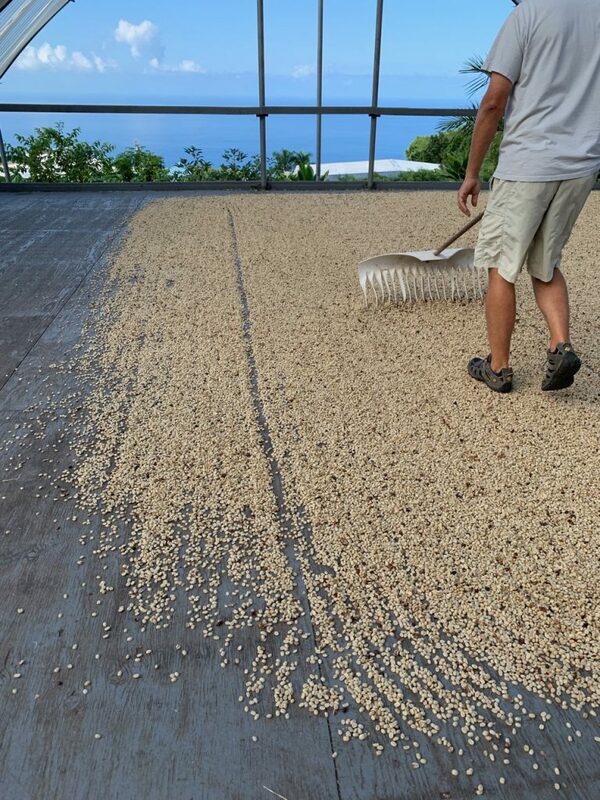 Our coffee is washed or wet milled, which describes how we get from fruit to parchment. Dry milling follows wet milling. Here’s a well-written article explaining about washed coffee. Coffee gets wet milled the same day the fruit is picked. The fruit is put into the hopper, and any floating fruit (inferior quality) is skimmed off. 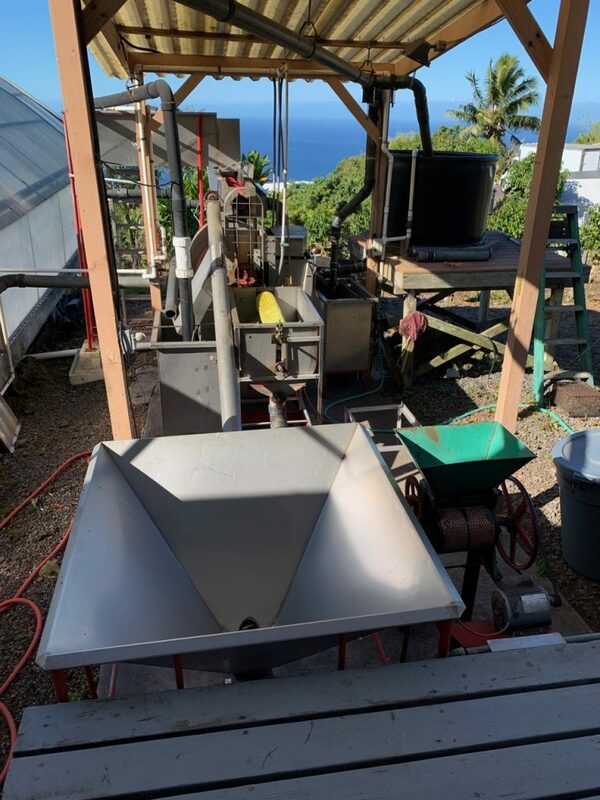 In the next step, the pulper extracts the coffee seeds (the beans) which then go into a fermenting and rinsing tank to remove the remaining mucilage. After pulping, parchment ferments in a tank overnight before being spread on the sun deck to dry. 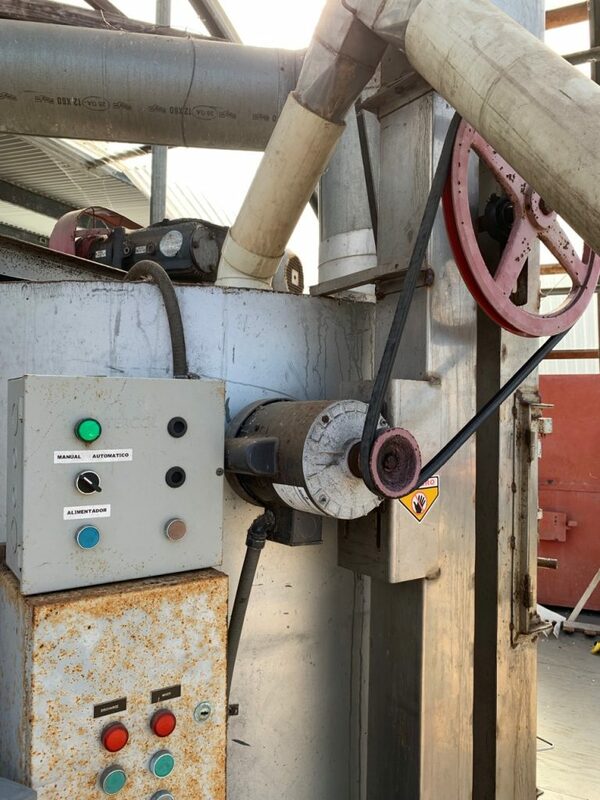 The wet milling equipment. Coffee fruit gets loaded from the truck into the hopper and weighed. 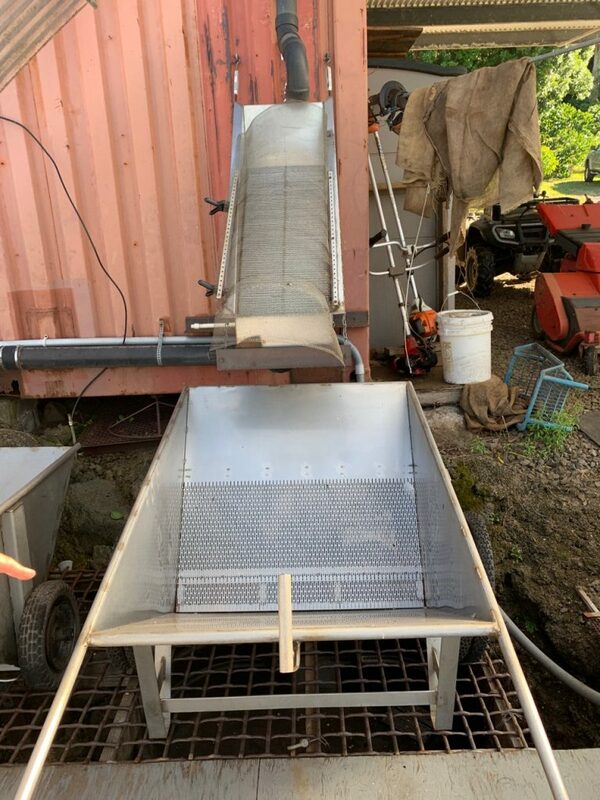 After a night in the fermentation tank, the coffee gets pumped to the drying deck & loaded into this wheelbarrow to be spread on the deck. 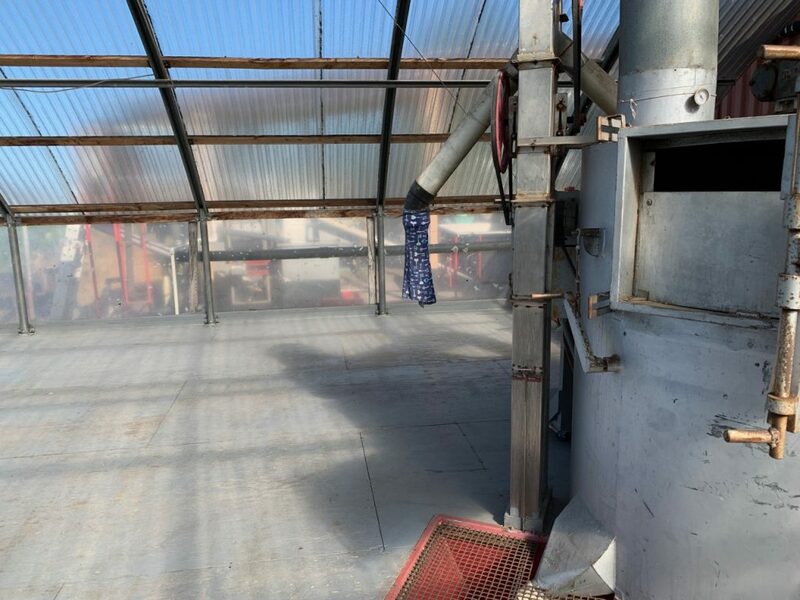 The beans are spread out to dry under a covered sun deck and are periodically turned. They dry at least overnight and maybe longer, depending on what coffee is in the pipeline to be processed after it. Later the beans get mechanically finish-dried to a specific moisture content for quality consistency. The beans are still inside a thin, paper-like husk, and the beans are referred to as parchment coffee, or parchment, at this stage. Parchment is raked to help with even drying. After at least a day in the sun, parchment gets raked into the red hopper and gets elevated into the finish dryer. Up to now, the beans have been dried from the outside of the bean, in. By letting the coffee rest at this parchment stage, the moisture gets a chance to equalize throughout the bean. The parchment rests in a light-, temperature- and humidity-controlled area. How long it rests is another one of those tweak-able variables. Most of the moisture probably equalizes in a matter of days, but some people like it to rest a minimum of 60 days. It’s very nice and fun to read your posts. Thank you for sharing the coffee farming knowledge!